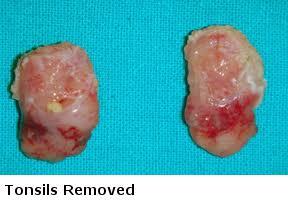 The "Tonsils" are the irregular looking lumps of fleshy tissue seen on both sides of your throat. They are made up of specialized lymphoid tissue that plays a role in preventing bacterial infections of your throat from getting into your blood stream. 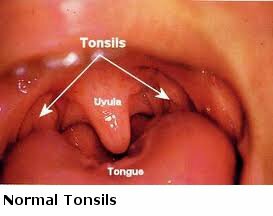 The "Adenoids" are the same type of lymphoid tissue, but are tucked up high in your throat behind the thing that hangs down at the back of your throat ("Uvula"). You cannot see your Adenoids like you can see your Tonsils. 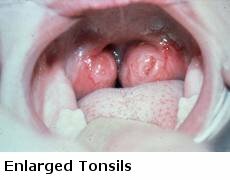 Chronic Infection of your tonsils, which are common in your early twenties, is called "Chronic Adenotonsillitis". 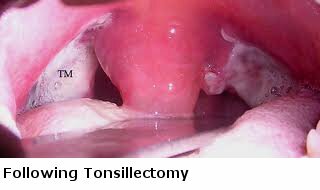 Although your Tonsils & Adenoids do serve a useful purpose preventing blood infections, once they themselves become chronically infected they need to be removed.